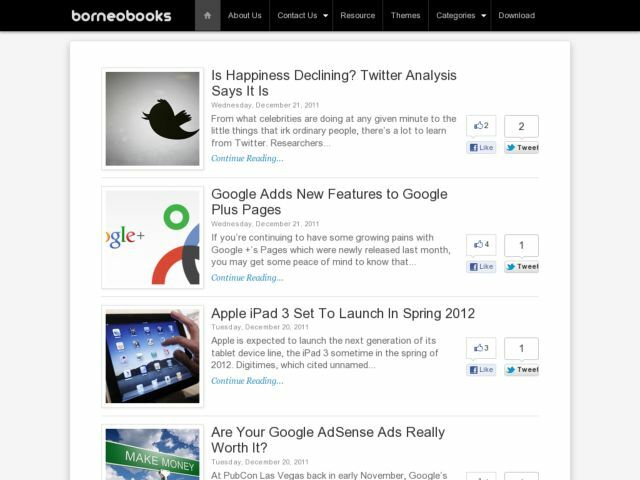 Borneo Books Blogger Template is a free book blogger template with 3 footer columns. Template features : clean and cool, box shadow template, featured posts, pagination ready, dropdown menu, twitter and facebook like ready on posts, rounded corners style and more. Suitable for personal blogs. one big problem with this is that the pages has also its summary.